Amazon.com description: Product Description: The updated revised edition of the bestselling book about how to turn simple ideas into marketable money-making products. 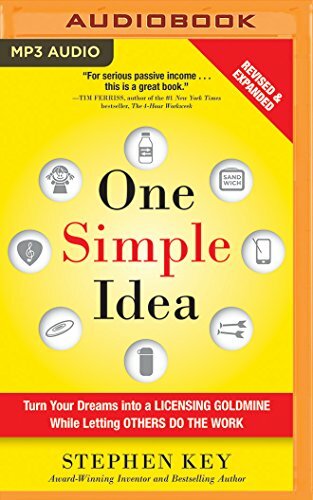 About: With must-have updates, a new edition of the bestselling method that shows how anyone can turn their one simple idea into millions – without lifting a finger! About: Turn your one simple idea into millions―without lifting a finger! About: The updated revised edition of the bestselling book about how to turn simple ideas into marketable money-making products.